Forward thinking and results oriented strategist specialized in tourism & hospitality industries, carrying 35 years of experience as Planning | Product | General Manager & Chief Executive Officer at Hellenic and International Corporations. He has served as Executive Director at Gnomon Performance SA, he is President of the Board at Geo Routes Cultural Institute, as well Founder and Head of the Organizing Committee at the Balkans & Black Sea Cooperation Forum & the AgriBusiness Forum. He has studies in Banking & Finance, he speaks English & French, and he is a regular speaker in various international forums related to Culture | Tourism | Development. 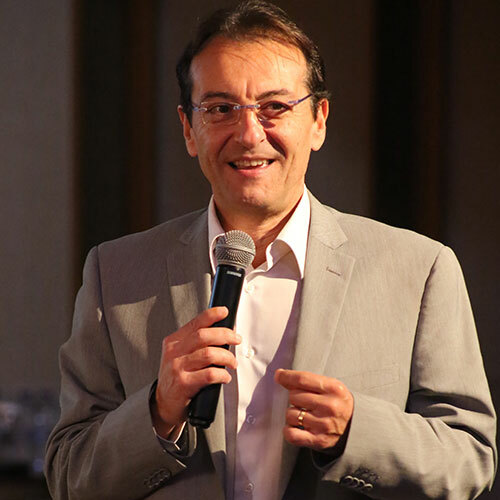 He has served for 10 years as member to the Board of the Association of Chief Executive Officers Greece, and former VP of the Society of Incentive Travel Executives Greece.